So it’s honours season again. Deserving charity workers, a sprinkle of ‘celebrities’ the patting of establishment backs, the greasing of moneyed palms, an interesting cross section of philanthropy and creativity and – some inevitable shockers. First up – Baldrick – aka Tony Robinson who has single handedly managed to make television archaeology banal with the ever plodding Time Team. Balders was given a knighthood, thus beating out his ertswhile fictional master l’Adder Noir who had to settle for a CBE. Sculptor Anish Kapoor and Brendan Barber were also knighted – the latter presumably for not causing too many problems while he headed up the TUC. Adele – possibly the finest thing to happen to British music and authenticity in a while landed an MBE as did PJ Harvey and comedian Rob Brydon. Meanwhile, the tax avoiding, hosepipe ban enforcing, leakalicious boss of Thames Water - Robin Collington was also awarded an OBE – laughably for ‘services to consumers in London and the Thames Valley, particularly during drought’. Surely services to consumers is what he gets paid for – and was that drought the wettest April on record? That drought? Cuddly hedge fund boss and Tory donor Michael Hintze was controversially given a knighthood after donating 2.5 million pounds to the Conservative party, though the official explanation was ‘services to the arts’. 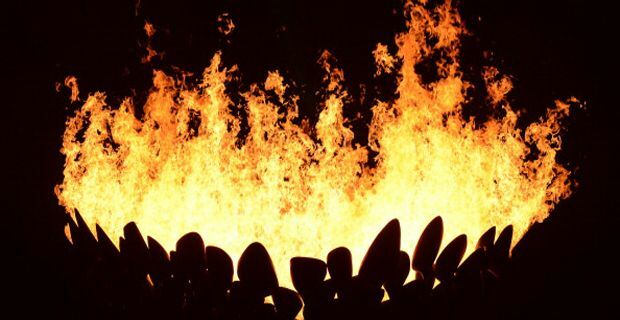 Thomas Heatherwick, the designer of the iconic Olympic cauldron, has been made a CBE, while there are OBEs for Edward Barber and Jay Osgerby, who designed the London Olympics and Paralympics torch. A couple of MP’s were knighted, a slew of civil servants including a good few diplomats (who always seem somehow naked until they have the word ‘Sir’ in front of their name), doctors, headmistresses, artists, volunteers and dedicated doers of good works were also honoured. The increasing public gaze on the honours system has certainly helped eradicate the more flagrant abuses and spread the focus onto those out of the spotlight who tirelessly work for their communities – but the system is not yet free of a certain corruption – however unwitting.